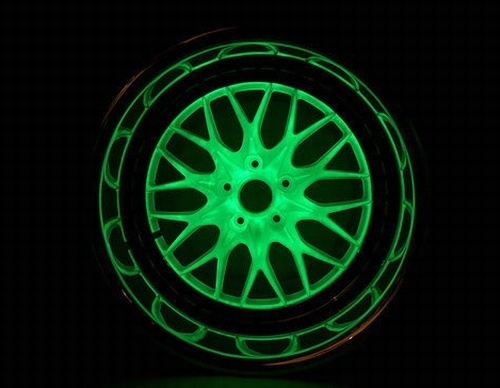 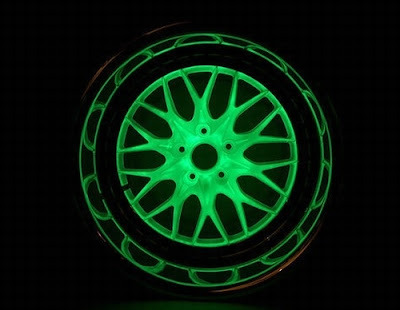 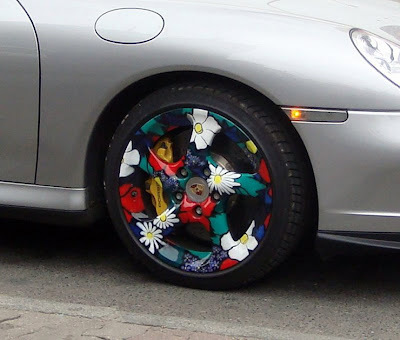 Collection of 'Creative Car Rims and Cool Car Rim Designs' from all over the world. High-Tech Rims: These are fully programmable wheels that can display any image or text on each wheel individually or all wheels at the same time as you drive. 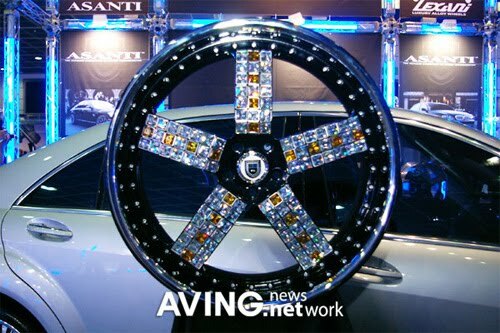 Transparent Rims: These clear rims are made from polycarbonate, comes with glass-like finish, and costs about $5,000 per wheel. 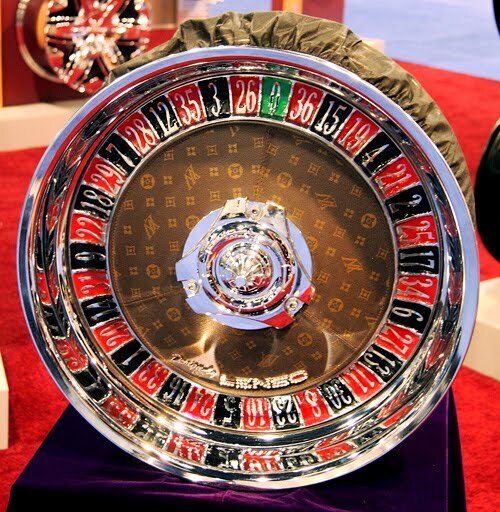 Car Rims by Lenso: These unique wheel rims created by Lenso features a real Louis Vuitton leather center cap and chrome accents. 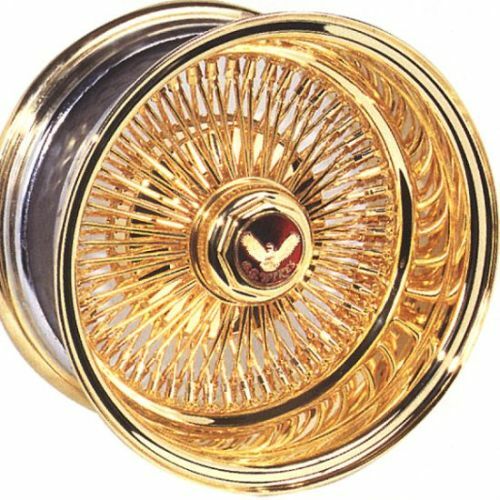 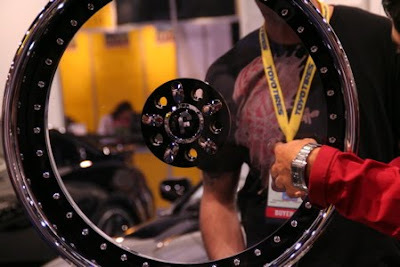 22" Gold Spoke Wheels: This 22-inch gold-spoke car rims costs $3,200 each. Jewels Rims: These jeweled rims come from Asanti, will cost you US$ 325,446 for 4 units (one set). 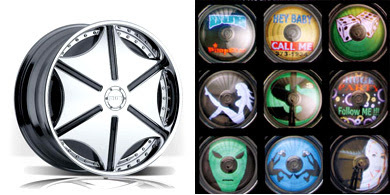 Rim Vinyl: How about sticking stickers on car rims? 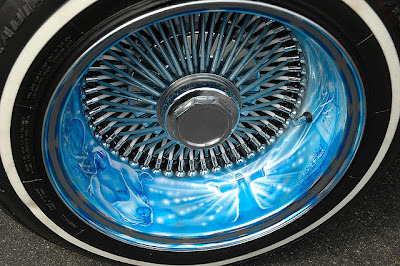 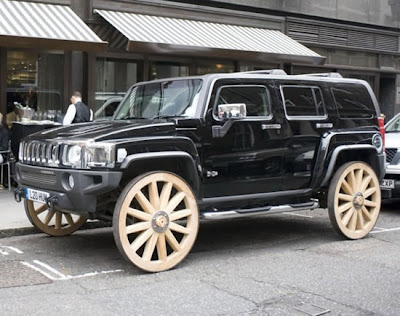 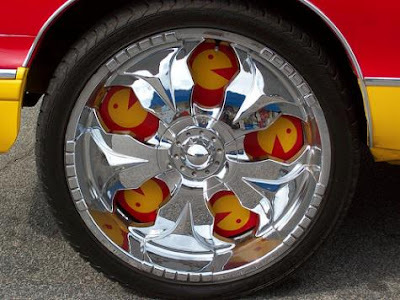 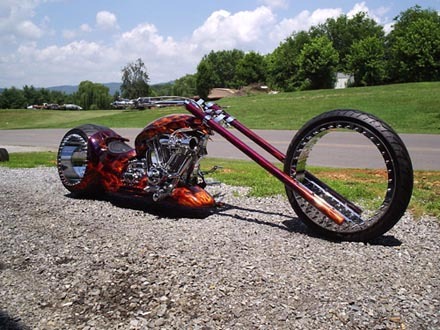 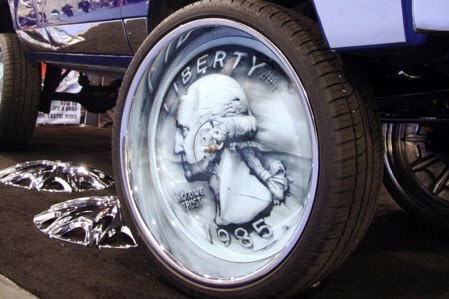 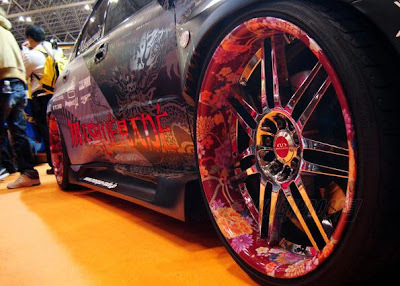 Cool Rims: These car rims are really cool! 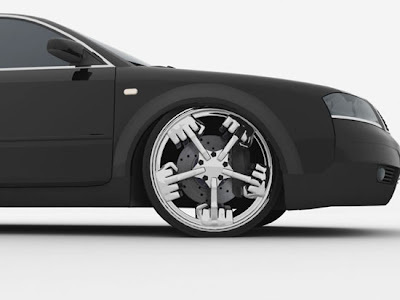 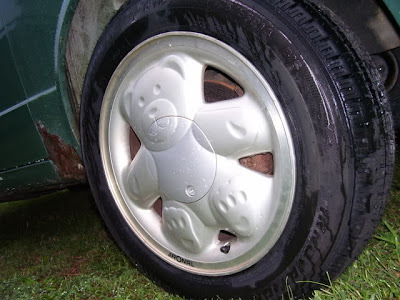 Ronal Teddybear Rims: These rims can be used quite imaginatively. 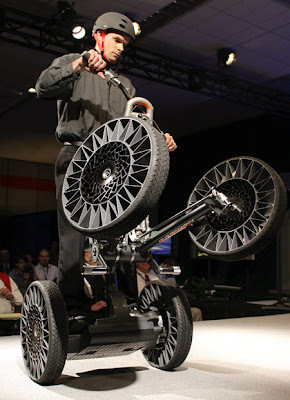 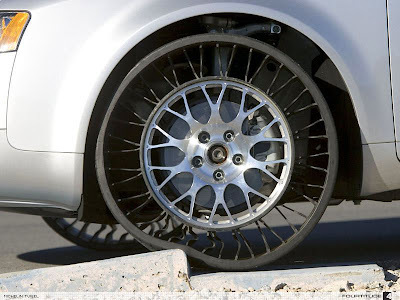 Airless Tires by Michelin: 'Tweel' an innovative tire design that uses no air is developed by the French tire company Michelin. 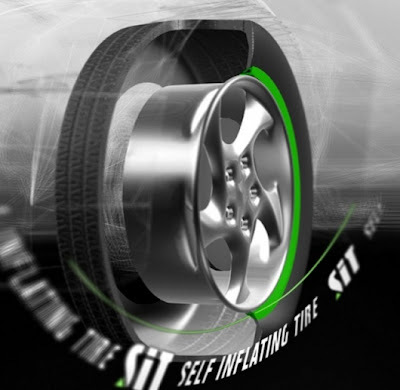 Self-Inflating Tire: The self-inflating tire system uses a peristalticpump to automatically inflate the tire as it turns maintaining a constant pressure level.